More viewers tuned in to the playful and kilig-filled premiere of the newest Kapamilya series “PlayHouse” as its pilot episode ruled in national TV ratings and led the list of trending topics last Monday (September 17). 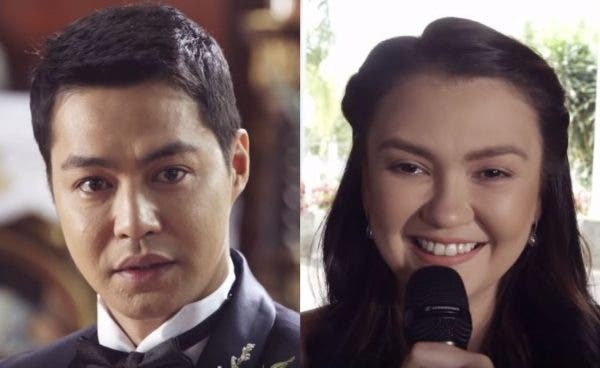 The series starring the team-up of Angelica Panganiban and Zanjoe Marudo recorded a national TV rating of 13.6%, compared to “Kapag Nahati ang Puso” that only got 9.5%, according to data from Kantar Media. In the pilot episode, viewers witnessed the unexpected reunion of estrange couple Patty (Angelica) and Marlon (Zanjoe) after years of having no contact with each other. It also showed the beginning of their whirlwind love story that brought kilig to viewers nationwide. “It’s like watching a movie. Angelica is so funny and natural,” iWant TV user Helen Arcega commented. “Zanjoe is so good. He has chemistry with whomever he partners with. He seems very kind and gives his all in love,” YouTube user Rio said. Meanwhile, though their character have not formally met yet, the tandem of Kisses Delavin and Donny Pangilinan already topped the trending list as their fans shared their excitement and showed their support through posts and tweets. WATCH: Who is Angelica Panganiban’s New ‘Baby’?